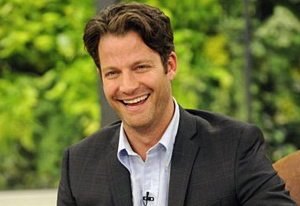 Nate Berkus is my IDOL! Not only is his work inspirational, but him as an individual as well. I enjoy his episodes daily and HIGHLY recommend you watching his show if you haven't already. 1.How will this room be used? Before you start picking paint samples and start thrifting for furniture, it’s important to choose the intention of your room. For example, if you’re decorating or renovating your living room, have the couch face the “purpose” of the space, whether it’s facing the TV, the fireplace, or an opposing seating area for socializing with family and friends. 2. Whose design opinions do I trust? 3. Do I have a strong floorplan? Speaking of heavy furniture, avoid pushing your oversized chest of drawers clear across the room only to realize it doesn’t fit the way you planned. While some may have the gift of ‘eyeballing it,’ first time designers should play it safe and try the smart way – lay out your space beforehand! Create a paper floor plan on a blank sheet of paper drawn to scale with the measurements of your room. Measure your furniture and use the same scale to cut out the shapes in colored craft paper. Move each piece around the room, trying different combinations, until you’ve landing on a layout that’s both functional and fun. I hope this helps give some of you the 'know how' to finally get started on your inspirations! I love Nate! My 6 year old even knows how much I love Nate! Haha!